from the room as well as instructions for using the equipment located in the room. The Events Management Office is responsible for reserving these spaces for programs, events and meetings. 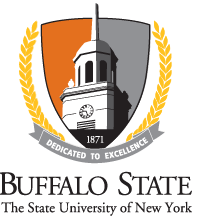 The Events Management Office is responsible for coordinating the use of Buffalo State facilities by campus groups and community organizations. We are the primary contact for all conference and special event planning. We are available to help you determine the best venue, date availability, and to coordinate the campus services necessary for your event.